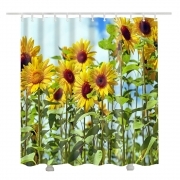 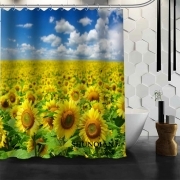 Sunflower shower curtains look amazingly fresh ! 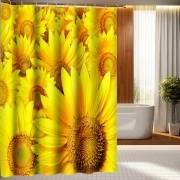 These colorful vibrant yellow curtains wakes you up with a fresh mood. 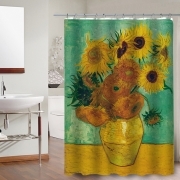 Gives you a fresh feeling. 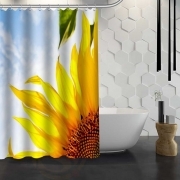 We have brought you many variations please feel free to write to us if you have any design suggestions! 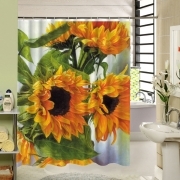 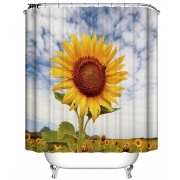 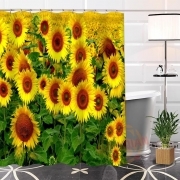 Brighten up look of your bathroom with trending Sunflower Shower Curtains from ShowerCurtainsSpecialist!